This is just one of the many questions to be answered in book five of the Lockwood & Co. series. Will Lockwood ever reveal more about his family's past to Lucy? Will their trip to the Other Side leave Lucy and Lockwood forever changed? Will Penelope Fittes succeed in shutting down their agency forever? The young agents must survive attacks from foes both spectral and human before they can take on their greatest enemy in a climactic and chaotic battle. And, to prevail, they will have to rely on help from some surprising - and shadowy - allies. 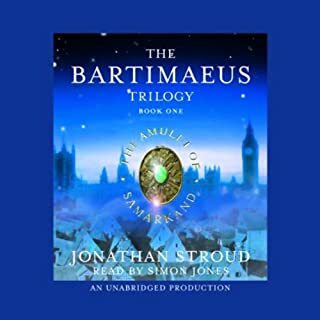 Jonathan Stroud once again delivers a rousing adventure full of danger, laughs, twists, and frights. The revelations will send listeners back to book one to start the series all over again. loved it. devoured it. every single bit was awesome. I love the characters and the ghosts and the villains and scary world of this London. exceeded my expectations! !! go Jonathan Stroud! THANK YOU SO MUCH! A 5-Star Finale for Lockwood &amp; Co. 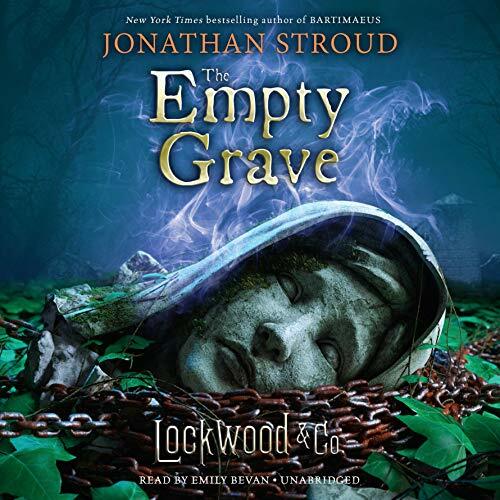 I LOVE this series and The Empty Grave is another exciting adventure with the Lockwood &amp; Co. gang. This is the fifth and final book of this series, so you must read the books in order. Trust me you will love every minute you spend with this group of friends. This series is set in an alternate universe of London, England. England has been plagued with ghosts (called “visitors”) and they aren’t your normal hauntings. These ghosts are dangerous and the living can be killed by just a simple touch from the ghosts (aka ghost touch). To save the day (and the country) teams of gifted children battle these visitors and exorcise them to “the other side”. There are many companies for hire to do the job and Lockwood &amp; Co is one of the best teams out there. The team consists of Anthony Lockwood (owner and leader with the heightened hearing of ghosts), George Cubbins (researcher), Lucy Carlyle (investigator that speaks with ghosts) and Holly Munro (admin assistant). For this last adventure Quill Kipps (a former investigator from a rival agency) joins the team for their ultimate battle. I’m not going to spoil the story for you but you should know this had the edge of your seat action, chilling mystery and hilarious moments I’ve grown to expect from a Jonathan Stroud book. In this final book we see the groups relationship grow beyond colleagues and friends. They have become a family and would make the ultimate sacrifice to protect each other. I hate to see this series end! But I sense this really isn’t a goodbye. The ending felt like a beginning to a new chapter for the group (or is it me wishing this for more or a spinoff lol). But I’m going to miss Anthony’s charisma, George and Skull’s sarcasm, Holly’s perkiness and Lucy’s noble spirit. Lucy will forever be one of my favorite heroines. I love her witty nature and her loyalty for her friends. Fans received exciting news this week that this series will be coming to TV. I can’t wait to see this show. Lockwood &amp; Co is a middle grade series for readers of all ages. I highly recommend this series to readers looking for a fun adventure with creepy twists and a group of characters that will have you laughing and cheering them on. Emily Bevin returns as the narrator and it is another excellent performance. 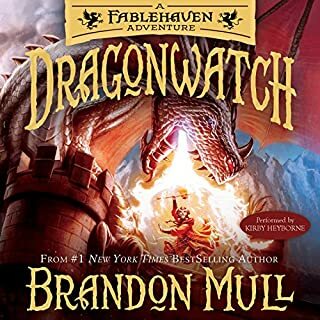 She has become one of my favorite narrators and the reason why I prefer to listen to the audiobooks for this series. She brings all the characters to life, with unique voices and captures their personalities perfectly. I especially love the sarcasm she brings for George and Skull. In this book she also brought Anthony’s shyness to life and just made me love him more. 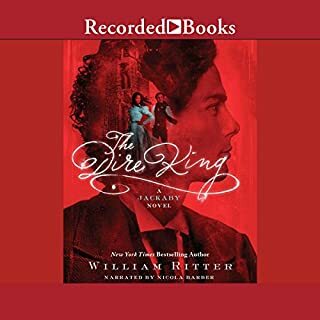 Listening to this series as an audiobook reminds me of listening to ghost stories in front of a campfire. Ms. Bevin and author Jonathan Stroud had me laughing and jumping throughout this fun adventure. The Empty Grave is a great end to an excellent story. 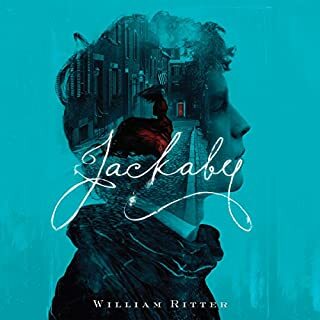 I recommend it highly to anyone who just loves a good, unique story. 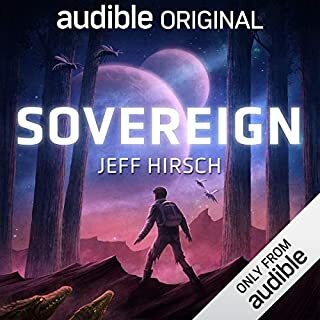 Awesome book if you like the series! Ok so I really did like it. If you like this series this book brought more of the same--action, well paced story telling, new revelations, good plot twists-the whole shebang. I liked the narrator's voices for Marissa and George. A good listen. 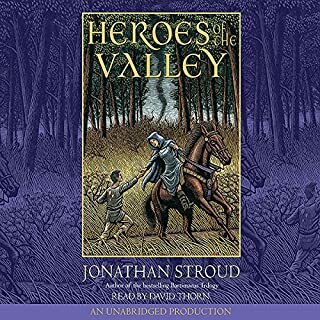 Love Jonathan Stroud- and the actress reading the book is marvelous. Satisfactory end to the series! It was everything I could hope the ending could be. I look forward to Stroud's next series! *That last bit—about Pixar—that might not exactly be the truth. But “I” envy his talents. And if the cartoonish lot behind the bouncing lamp logo listen to this book they’ll be envious too!